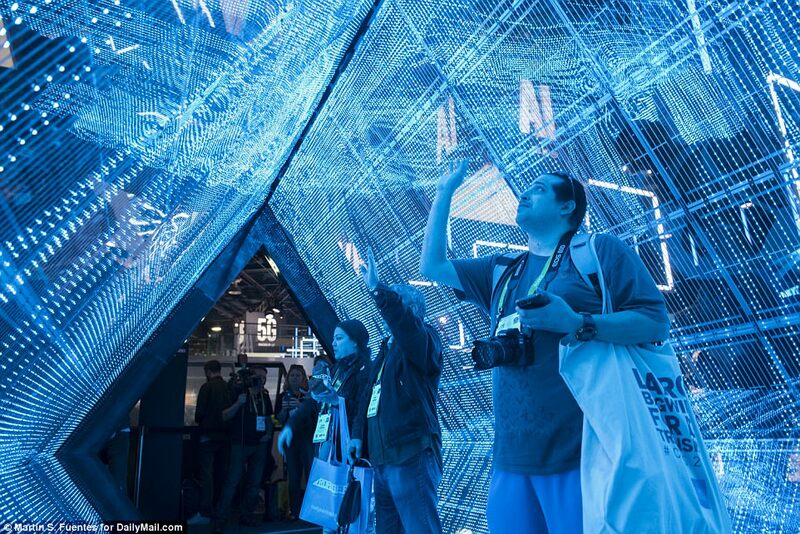 Wednesday marked the second official day of the Consumer Electronics Show - and with it brought an incredible look at the future of data, city life, and autonomous cars. 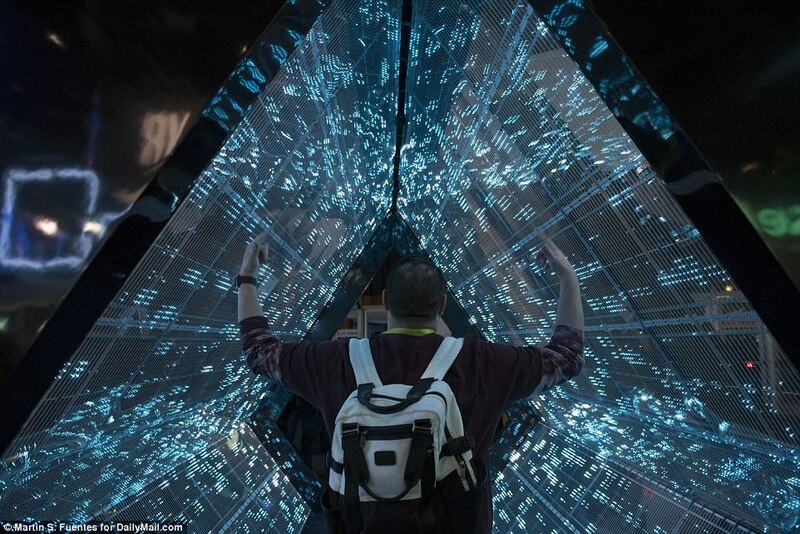 The day wasn't entirely without setbacks; around 11 a.m., the Las Vegas Convention Center's Central Hall experienced a major blackout, leaving big-name brands and thousands of attendees in total darkness. After about two hours, however, the lights came back on and the show was up and running once again. 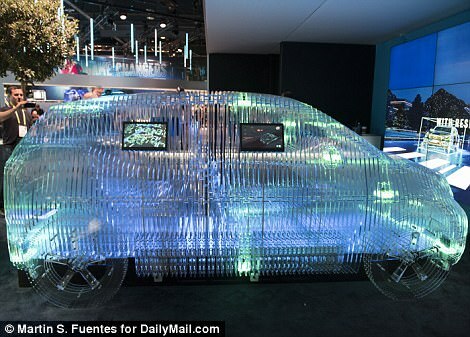 Here, Dailymail.com rounds up some of the stunning technology on display. 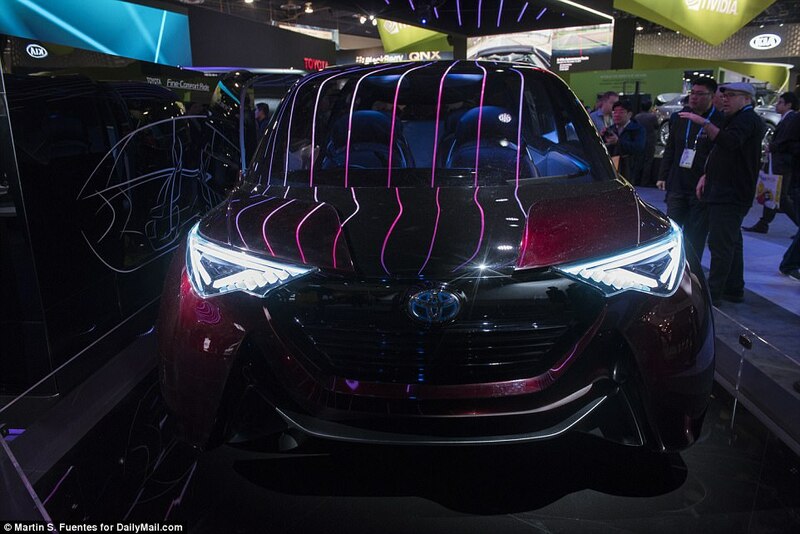 Toyota unveiled its latest concept vehicle, the e-Palette, on Monday, with plans to create a mobile platform for everything from e-commerce and ridesharing to medical services. The firm is already working with Amazon, Uber, Pizza Hut and China-based Didi. 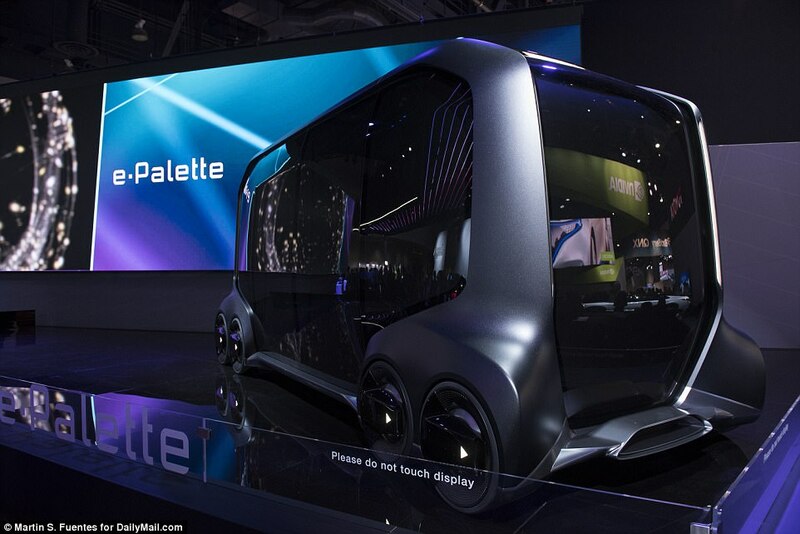 The 'e-Palette' vehicle platform features a boxy electric-powered minibus, which can carry out deliveries, or act as a retail service on wheels. 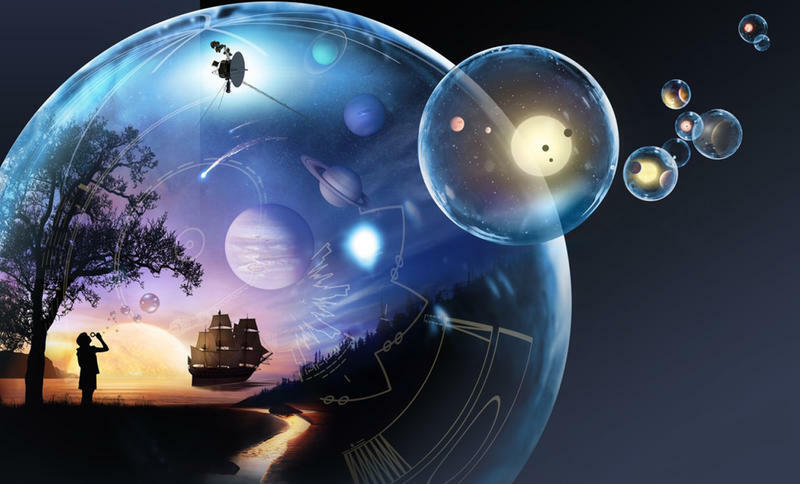 It can also be used for ridesharing and other purposes, including medical applications. 'It is a flexible platform that can be adapted to a range of services,' Toyoda said. 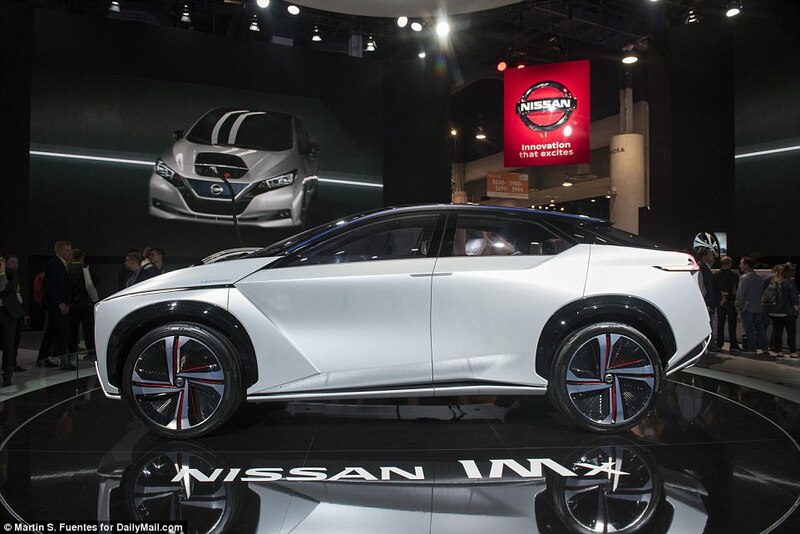 Nissan also showed off its IMx electric crossover concept, which it first unveiled back in October at the Tokyo Motor Show. 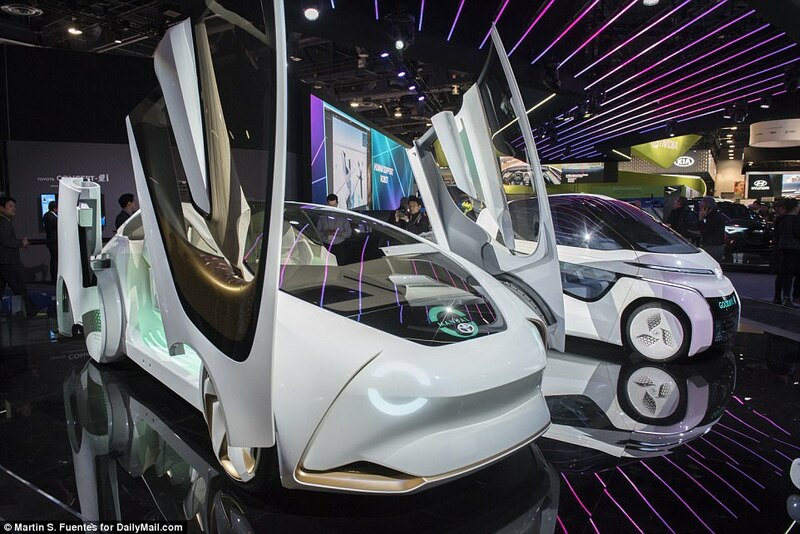 The car aims to make driving safer and more enjoyable, and features a future version of the firm's ProPILOT autonomous operation. With this, the steering wheel could be tucked away into the dashboard, and seats reclined for total relaxation. But, drivers would still have the option to drive it themselves if they so wished, by returning the components to their original position. 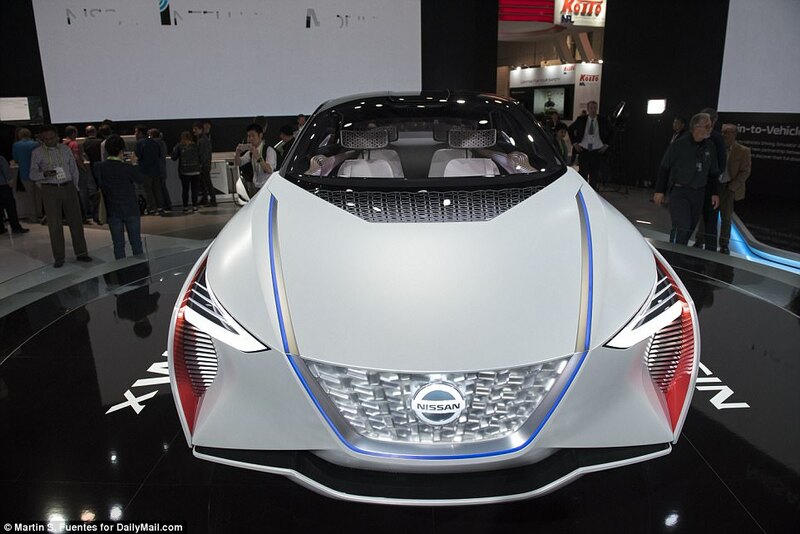 'The IMx zero-emission crossover concept vehicle embodies the future of Nissan Intelligent Mobility,' said Daniele Schillaci, executive vice president for global marketing and sales, zero-emission vehicles and the battery business, at the time of its unveiling. 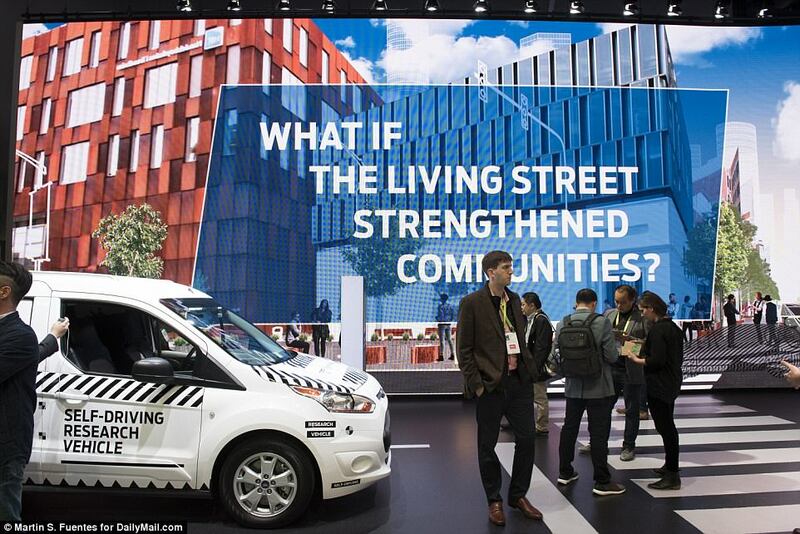 Ford turned its exhibit this year into an entire mock-up of a city, revealing its plans for self-driving cars in a partnership with firms including Postmates. 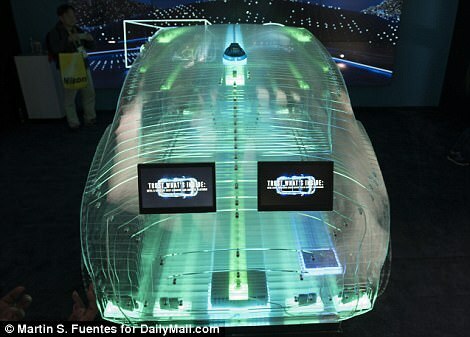 And, Intel offered breathtaking immersive experiences, from a look at how its autonomous cars see the world, to a 5G tunnel.